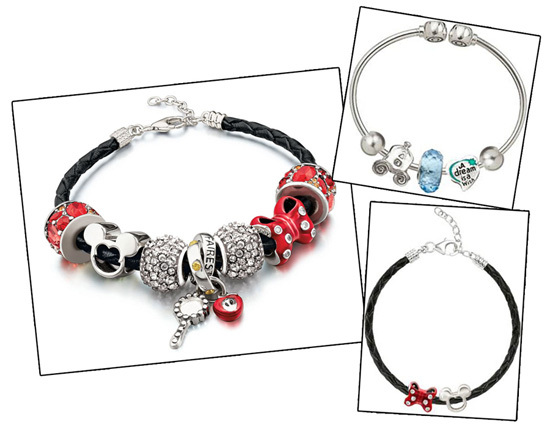 With the help of your Disney’s Visa® Card and the wave of a magic wand, your little girl can become a princess! 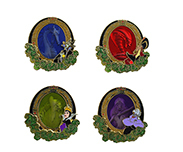 It’s all in a day’s work at Bibbidi Bobbidi Boutique, owned by Cinderella’s Fairy Godmother and operated by her skilled apprentices. 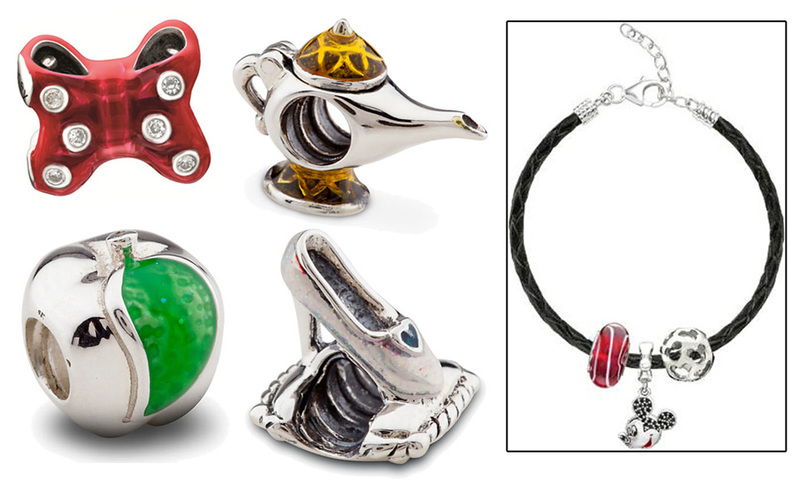 Whether she’s getting ready for a ball or her next magical adventure, your little princess-to-be can choose a head-to-toe transformation that will make her fairytale dreams come true! Hurry, this fairytale offer ends June 30, 2013. Unless you are staying at Kidani Village in Disney’s Animal Kingdom Lodge, Sanaa can be difficult to get to, but is well worth the journey. Located on the ground floor of the resort, Sanaa serves up African style cooking with Indian flavors. Unlike the restaurants at Jambo House, Sanaa offers diners a view of the savanna, as well as being only a doorway away from an outdoor overlook. Which makes waiting for a table enjoyable for any animal lover. In fact, guests are encouraged to visit the bar and take a drink out onto the overlook while waiting for their tables. There are rocking chairs and benches set up around an outdoor fire pit. Night vision viewing of the animals is also available here on most nights from sundown to 9:30 p.m. using the provided night vision goggles. The word Sanaa translates from Swahili to “work of art” and it is indeed just that. The theming and decor alone are amazing to see. There are brightly painted columns around the dining area that look almost like pots stacked on top of each other. Many of the tables that do not feature the savanna overlook, have museum-like pieces of art on display in nooks along the walls. Make sure to look up at the intricately crafted colorful lamps that adorn the dining area. They are fashioned after the African weaver birds’ nests and are truly a unique sight. These lamps also take on a whole new romantic atmosphere when dining later at night. Sanaa offers a lunch menu similar to its dinner selections with sandwiches available as well. 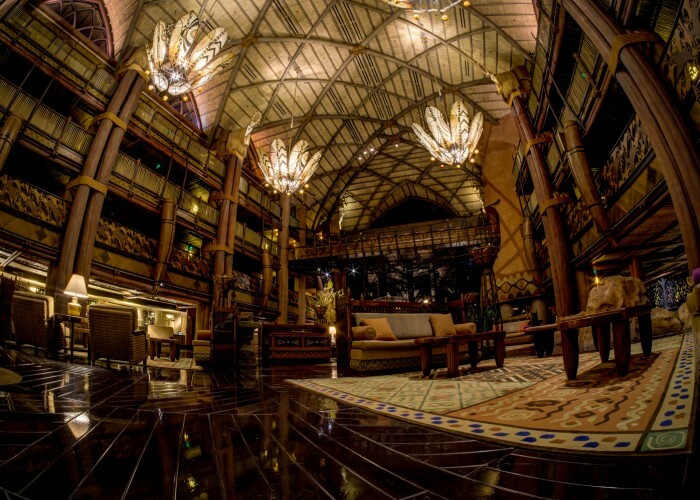 They also feature a cultural tour; giving guests a detailed showing of the various museum pieces found throughout the hotel and the restaurant. The tour concludes with a sampling of their famous bread service. Guests must sign up for this tour at the front desk of the hotel. As for the dining experience itself, the staff here is extremely helpful. The menu is certainly different and our waiter was well trained on getting the right meal to meet each person’s tastes. For a starter, we had the Indian style bread service with mango chutney, roasted red bell pepper hummus, and red chile sambal as our choice for dipping sauces. There are 9 in total to choose from. Then for our entrees we opted for the Slow Cooked in Gravy. This was a pick and pair combo that you could build your own meal. Diners can pick 2 of 6 available slow cooked meat choices paired with their choice of rice. We had the butter chicken, braised short rib and the shrimp with green curry sauce along with basmati rice. While the braised short rib is not as good as the one in Jiko, the butter chicken, was tender chunks of chicken in a sweet and buttery reddish-brown gravy, and the shrimp in green curry sauce, which was another sweetly spiced dish, was out of this world. Our son had the tomato soup with paneer cheese as his meal and really enjoyed the smoky flavor of it. For picky children, there is more basic fare. Our daughter enjoyed her grilled chicken and fruit combo. Although I have yet to try the dessert options here, I have heard many good things about the Chai Cream and it is a definite must do for me when I go back. I have to say the bread service is unlike any appetizer I have ever tried. It is a crave-worthy option and one that I am happy to say is served up until 11:30 p.m. at the bar. On our last visit, we had an evening flight and as soon as we boarded the Magical Express to take us over to Kidani, both my husband and I were planning what type of dipping choices we were going to get, as this was going to be our first stop. We arrived at 10:45 and quickly left our bags with the bellhop the hoofed it downstairs for that late night snack. And it was perfect! A lot of my readers can speak from personal experience at the parks and I would love some feedback to add to my list that I will send a guest when they are visiting Disney for the first time. The Benches in front of Crystal Palace are always a great spot, but you will need to be there 45-60 mins before the fireworks. 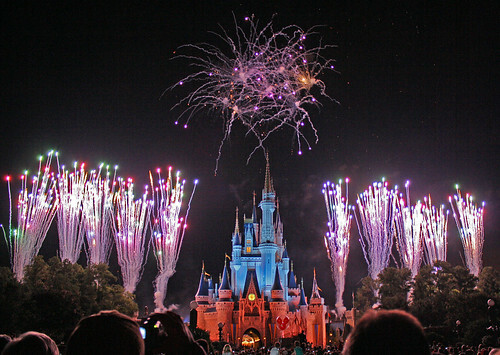 Where do you like to watch Wishes when you are visiting The Magic Kingdom or surrounding resorts? Will you be visiting next year? When the sun goes down, galactic fun lights the night as Lobot (from Star Wars: Episode V The Empire Strikes Back) takes over as DJ for a dance party that will be highlighted by a special Star Wars fireworks show. Disney’s Oceaneer Club, open to 3- to 12-year-old children, is a completely reimagined area that transports children to magical realms. 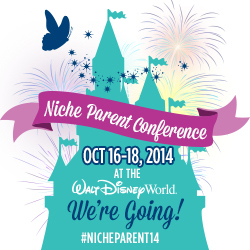 • Other new spaces include: Andy’s Room, Pixie Hollow and the Mickey Mouse Club. Disney’s Oceaneer Lab is a new pirate-themed area, for 3-to-12-year-old children. And, for the youngest cruisers – ages 3 months to 3 years – there’s a new It’s a Small World Nursery. • Water thrills on the AquaDunk, a three-story body slide that begins with a surprise launch. A near-vertical drop sends guests on an exhilarating ride in a translucent tube that extends 20 feet over the side of the ship. • AquaLab is an interactive water playground open to kids ages 3 and up. And, also on deck, get drenched on the Twist n’ Spout water slide. • Tots up to age 3 can play in the new Nephews’ Splash Zone, offering pop jets and squirting figures of Donald Duck’s nephews. • Animator’s Palate is updated with all-new, animation-adorned walls, larger high-definition flat-screens, plus the addition of the popular “Animation Magic” dinner show, currently found on theDisney Fantasy. • The vibrancy of Rio de Janeiro creates an energetic atmosphere in Carioca’s, a new restaurant where, during the day, there’s a festival theme and, when night falls, the atmosphere transforms into an after-hours city scene with softly illuminated lanterns flickering overhead. 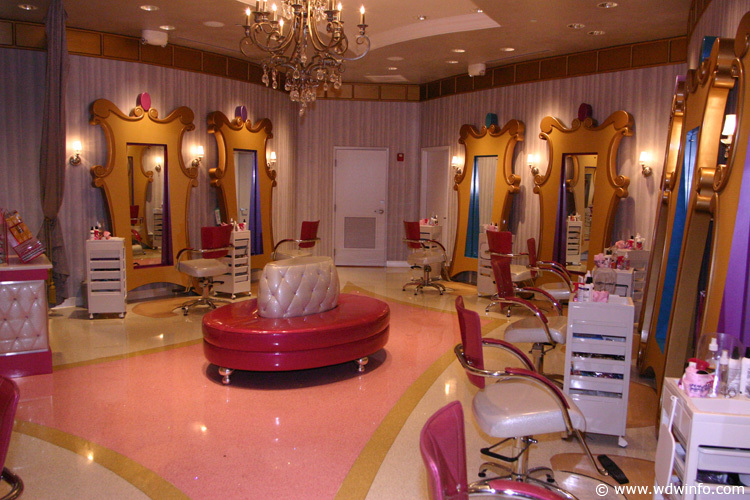 The Disney Magic offers big city-style fun in After Hours, the nighttime adult entertainment district. An all-new lineup of clubs includes venues for dancing, comedy, music and variety shows. • Fathoms night club is a celebration of the sea that utilizes special effects, lighting and sound to create different atmospheres from early evening to night. • A low-key nighttime experience can be found at Keys piano bar and lounge. • Pub days of olde are recalled in O’Gills, an Irish pub and sports bar. 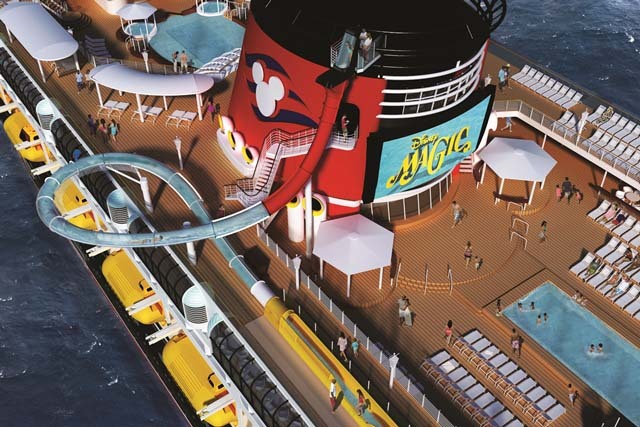 The reimagined Disney Magic will also offer expanded spa options in an unmatched ocean-view environment, including an all-new Chill Spa for tweens, family fun in the new D Lounge, a majestic lobby makeover and more! Three Disney Theme Parks will stay open for 24 hours during Memorial Day Weekend to kick off a Monstrous Summer on both coasts. This first-ever, three-park all-night party is happening at the Magic Kingdom® Park in Florida, and Disneyland® Park and Disney California Adventure®Park in California. 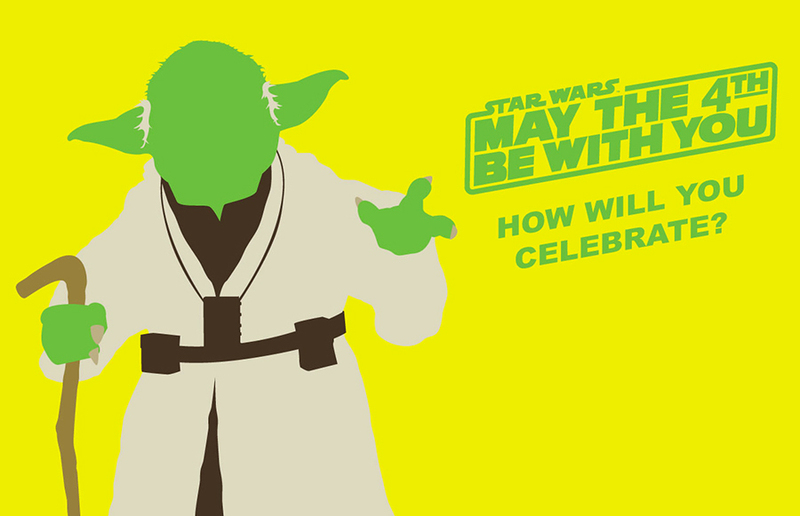 The Parks will stay open from 6 a.m., May 24 to 6 a.m., May 25, 2013, local time. In Florida, Magic Kingdom Park will feature a “Monsters University” theme where Mike and Sulley will be the Grand Marshals of the “Celebrate a Dream Come True” day parade and make appearances in Tomorrowland. There will be extra entertainment throughout the day and night, including characters in their pajamas in Town Square during the late night and early morning, and late-night dance parties in and around the courtyard ofCinderella Castle. In California, your Clients will be able to party the night away at both parks with special entertainment including: a “Monsters University” “TLT Monstrous” Dance Club and Star Wars characters in Tomorrowland and late-night Character Pajama Party in Mickey’s ToonTown at Disneyland Park. 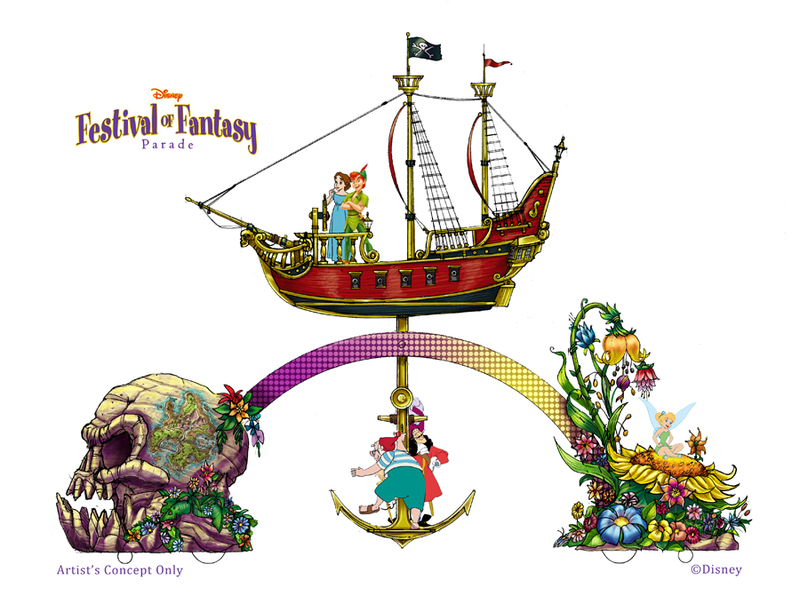 The new Fantasy Faire Royal Theatre at DisneylandPark will become a Royal Dance Hall late at night with a live band and dancing; and Guests of Disney California Adventure Park will find Monstrous photo opportunities with new “Monsters University” “Dorms” in Hollywood Land and a new “Monsters University” float leading the Pixar Play Parade. 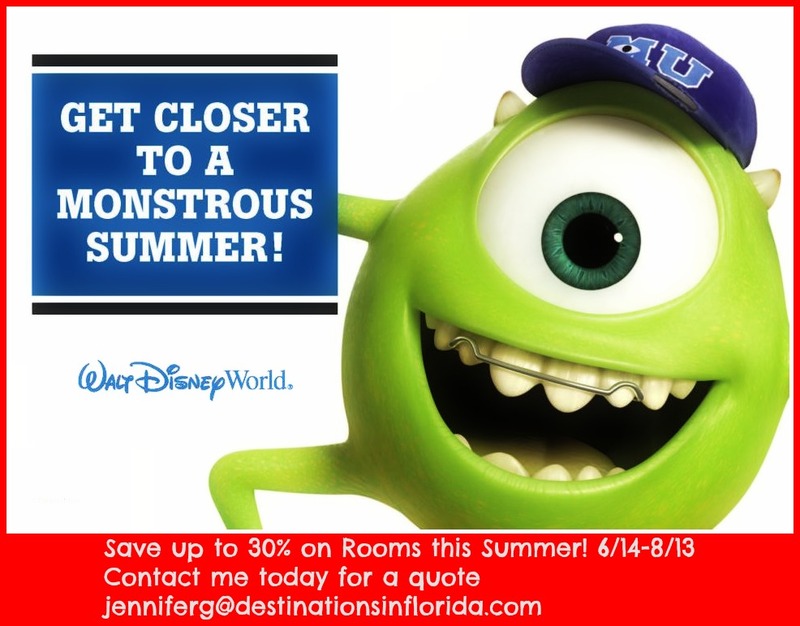 Mike and Sulley are dropping in from MU to scare up fun all summer long. Some of the monstrous surprises in store include all-new, collegiate settings in which your Clients can meet their favorite aspiring scarers. 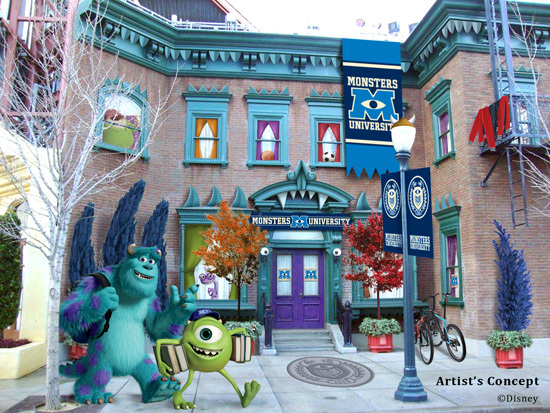 On the Backlot at Disney’s Hollywood Studios®, Guests will find the Monsters University Student Union, complete with a view of the campus. Meanwhile, at Disney California Adventure Park, Mike and Sulley can be found right outside the university dorms, recreated in Hollywood Land. Also at Disney California Adventure Park, Mike and Sulley show their MU spirit as they lead daily performances of the Pixar Play Parade, and at Magic Kingdom Park, your Clients will chuckle along with the gang at the Monsters, Inc. Laugh Floor, where they’ve been studying new jokes and are ready to graduate to new comedic bits in honor of their alma mater. It may be summer vacation, but Monsters University will be in session all season at the Disneyland and Walt Disney World Resorts! Will you be there? I will! What would you do in Disney or Universal? I am headed to Disney and Universal in May for 6 days of training. I will have some free time to do whatever I want. I thought it would be fun to let my readers decide on things they would like to try/ride/see while they were in Disney or Universal for a week. I will update my page and twitter with my live experiences and feedback between May 21-26. When I am in Universal I will not ride the following rides for you: Rip Ride Rockit, Dr Dooms Tower or The Simpsons and I will not try vomit jelly beans at the Wizarding World of Harry Potter. When I am in Disney I won’t ride: Space Mountain (yup I went there), Soarin, It’s a Small World (yeah the puppets freak me out a little) and Mission Space. I will gladly try any adult beverages you like within moderation (no drinking around the world, this is a work trip). I also enjoy Disney snacks (really I just enjoy any snacks) so feel free to add them to the list as well. So please comment and let me know what you would like to see through the eyes of your favorite Disney and Universal Vacation Planner! 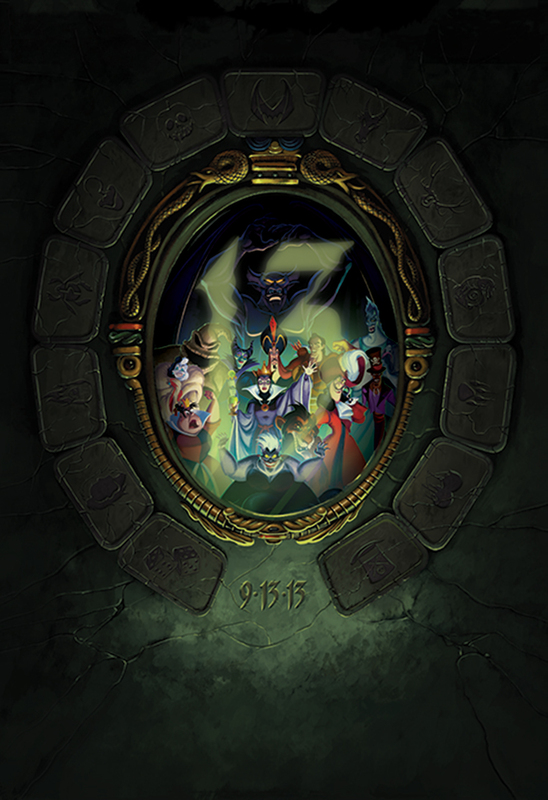 The countdown has begun for the 13: Reflections of Evil trading event taking place September 13 – 15, 2013, in World ShowPlace at Epcot. 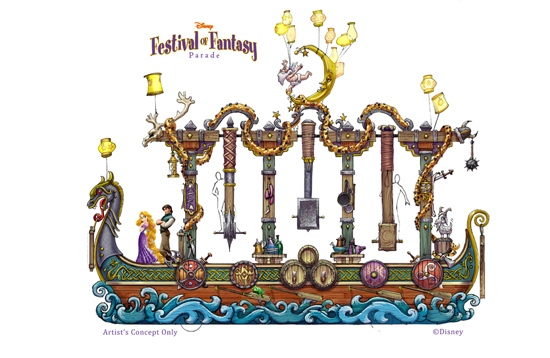 I suggest blocking your calendar that weekend for our largest trading event of the year at Disney Parks. 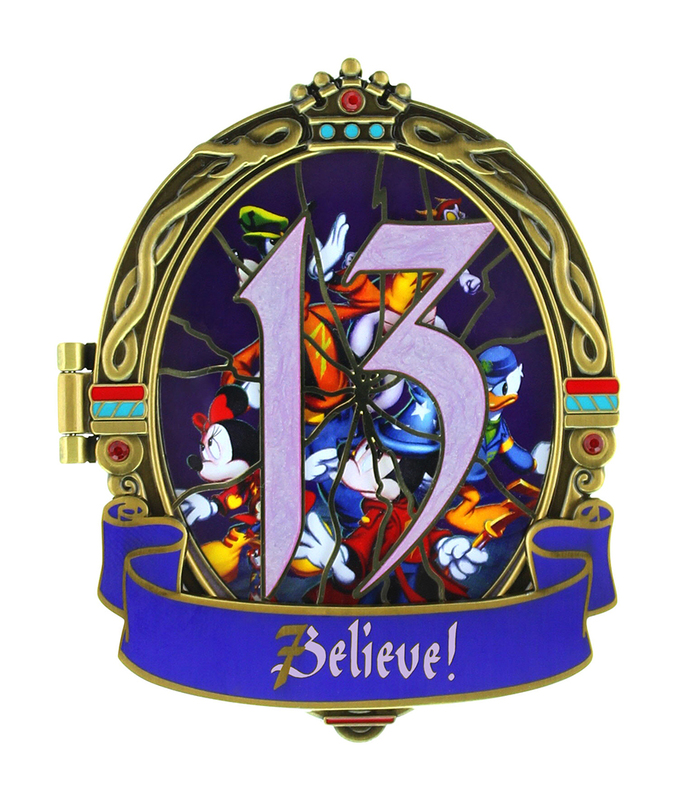 But I offer a few words of advice – Beware the 13! 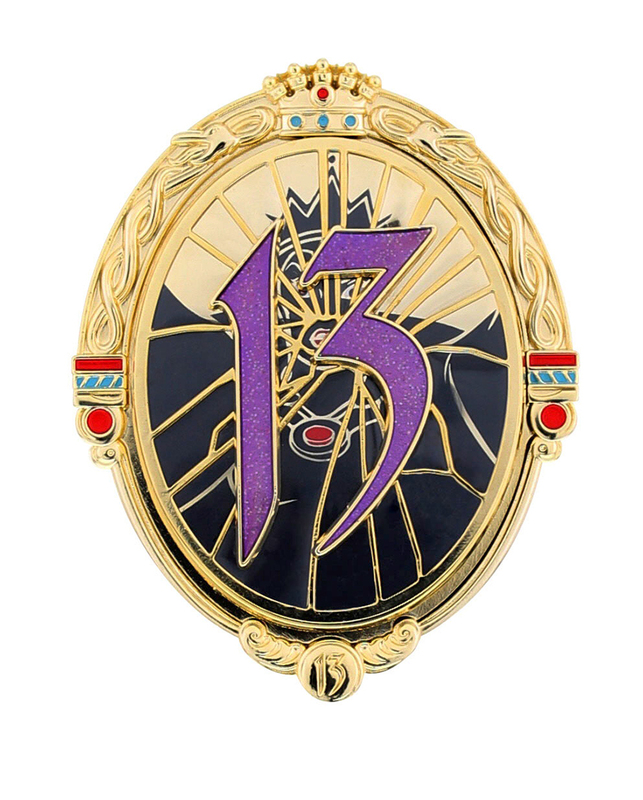 Who are the “13″? I suppose I should bring you up to speed. 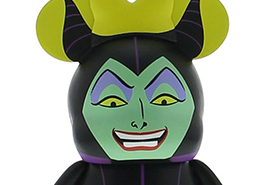 In a far away land there lived a wicked and vain Queen who wanted more power. 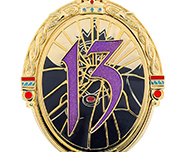 While pouring over ancient spell books, she discovered an incantation that, when performed on the darkest of days – Friday the 13th – could bring together thirteen of the most evil Disney villains known only as “The 13.” To cast this spell, the Queen must use a powerful, supernatural object – a magic mirror – to transport “The 13” from across time to the present day. 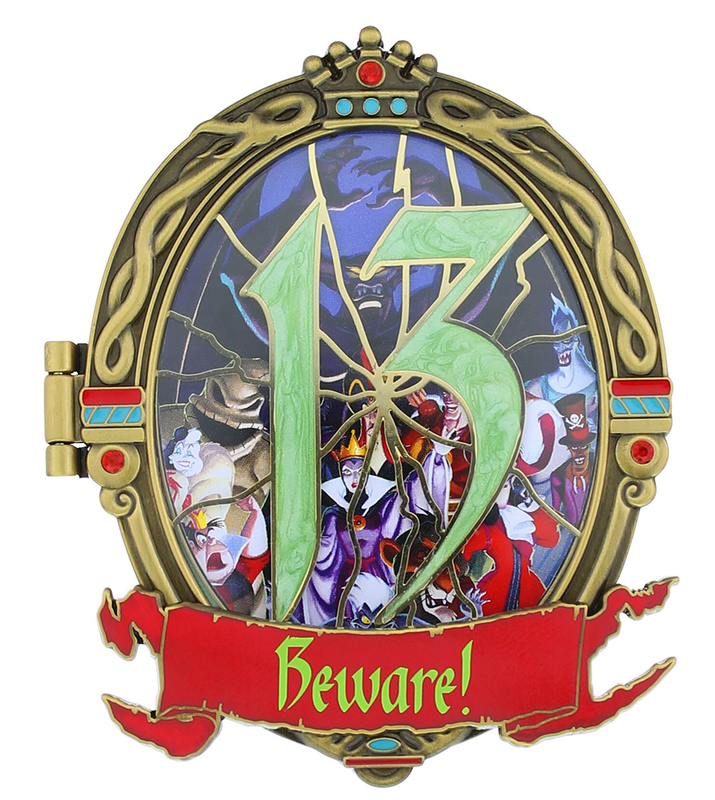 As luck would have it, Friday the 13th will take place in September this year! The Queen decided this would be the perfect day to cast the spell. Let’s fast forward to September. 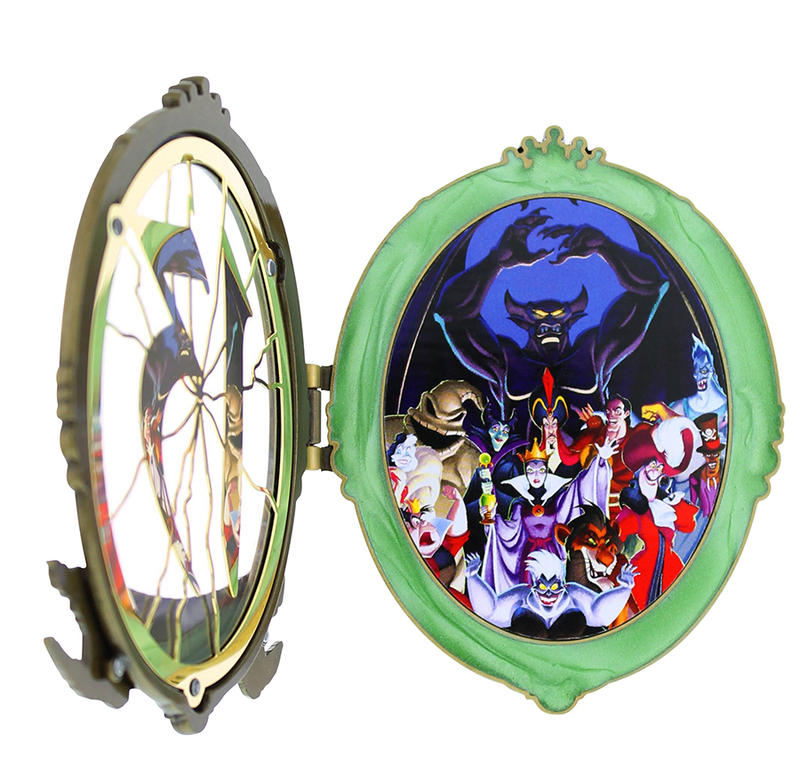 As the newly assembled Villains are hashing out their nefarious plans, the Villains intentionally break the mirror and hide the thirteen shards. Now the mirror can never be used against them, as it is the only object that can send them home. 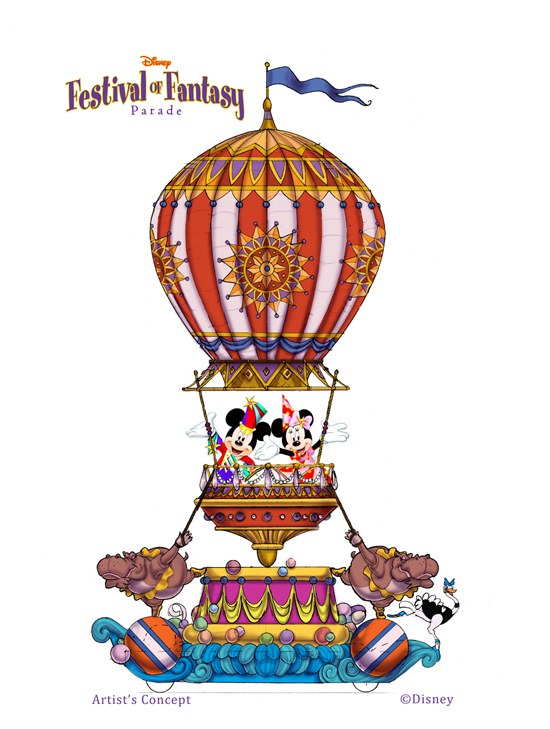 Lucky for us, an imaginative purple dragon named Figment overheard their plotting and asks Mickey Mouse for help. 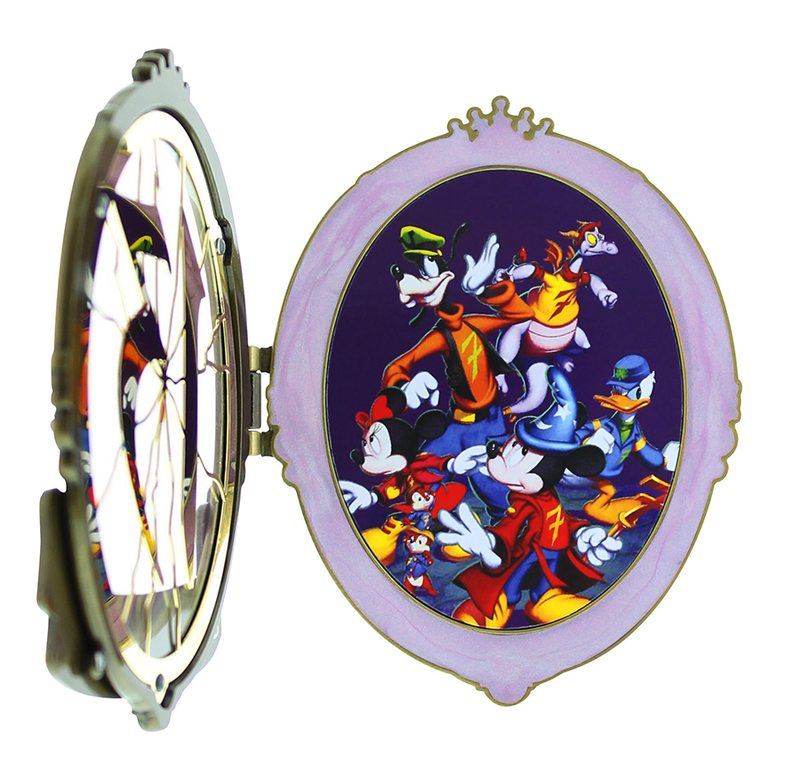 Along with five of their trusted friends known as the “Lucky 7,” Mickey Mouse and Figment devise a plan to stop “The 13.” They must reassemble the broken shards to send the villains back to their rightful places in time. 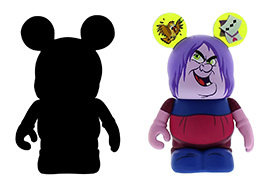 Now that you know what battle lies ahead, here is a sneak peek at some of the merchandise that helps tell the story. 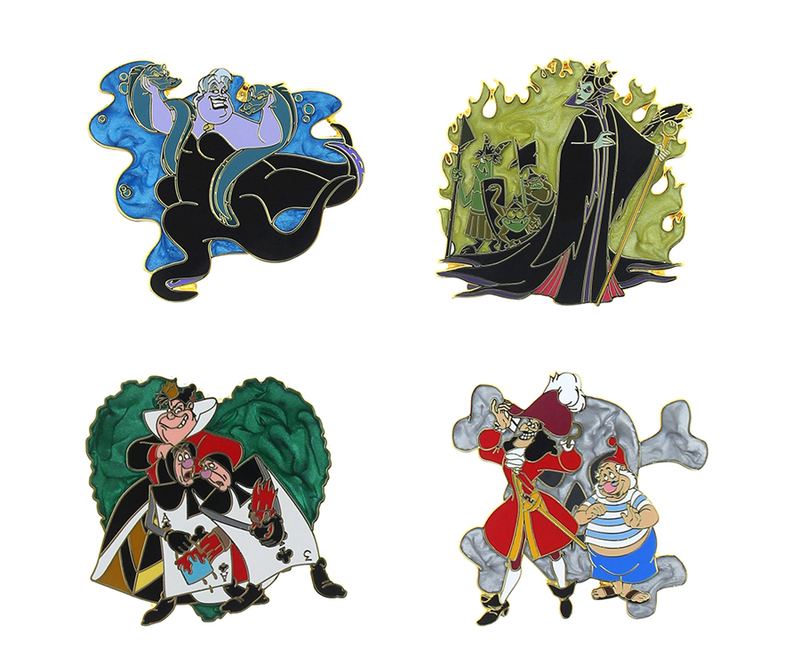 I asked Pin Trading Merchandiser Jeanne Lewis and Disney Design Group Senior Character Artist Michael Sullivan about their favorite pins being created for this event. 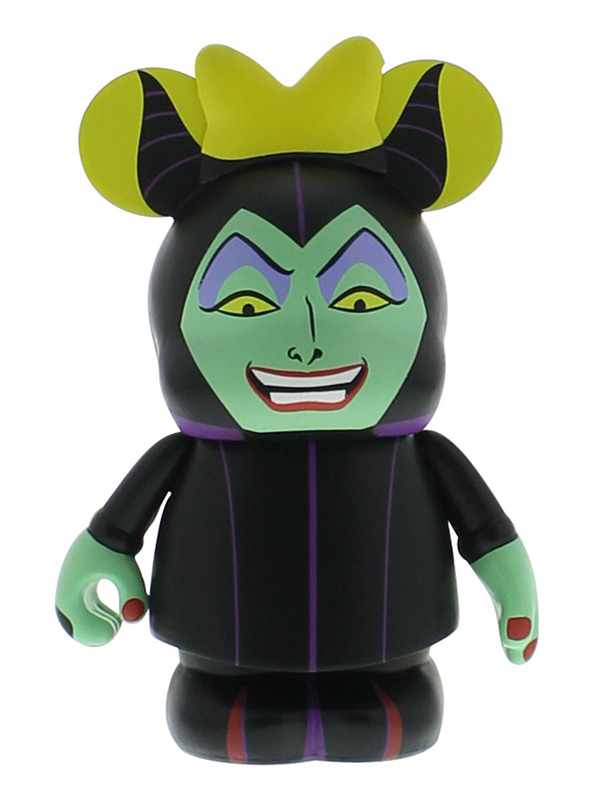 I also got a sneak peek at some Vinylmation items, including Maleficent and a special two-pack Madame Mim set. 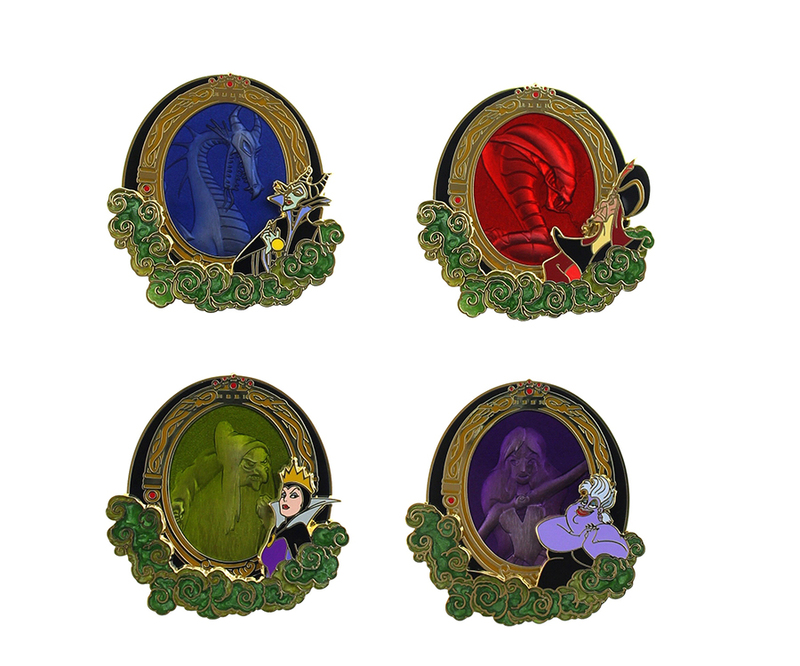 Tickets for this event will go on sale via DisneyParksMerchandise.com beginning May 8 at 1:00 p.m. (Eastern). 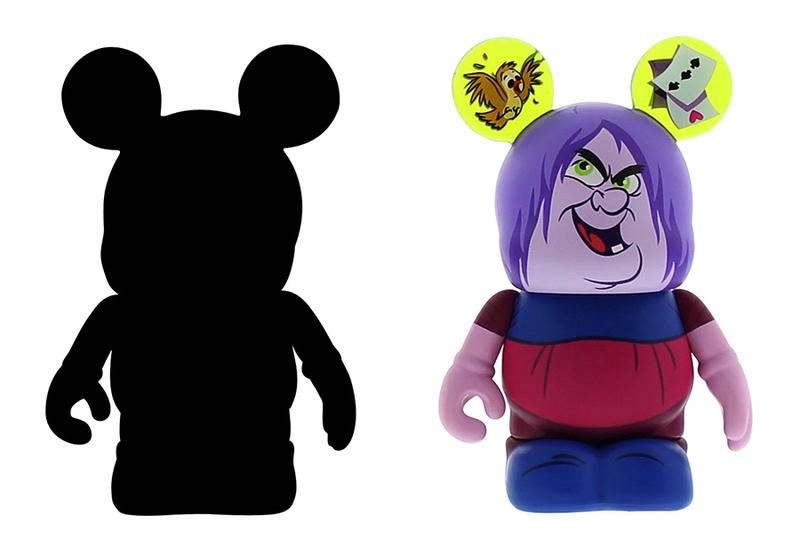 Look for more information in the coming weeks on the Disney Parks Blog.